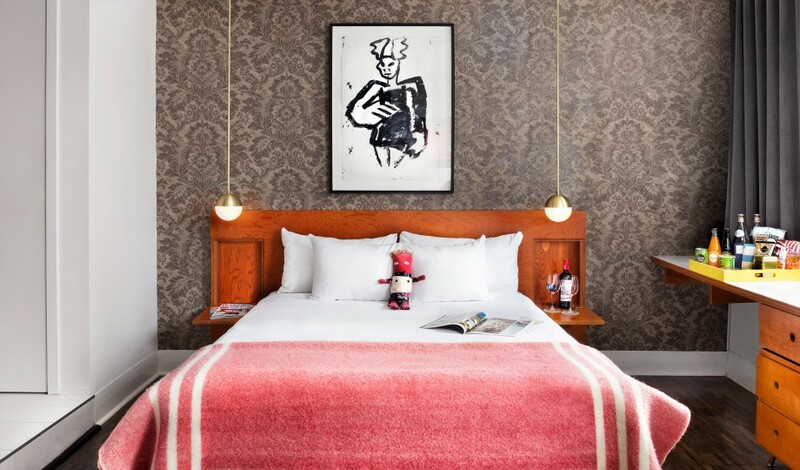 —A meeting spot for artists, a hub for live music, a colorful and history-rich retreat in Toronto’s most alluring neighborhood, The Drake Hotel commands this city’s centerstage. 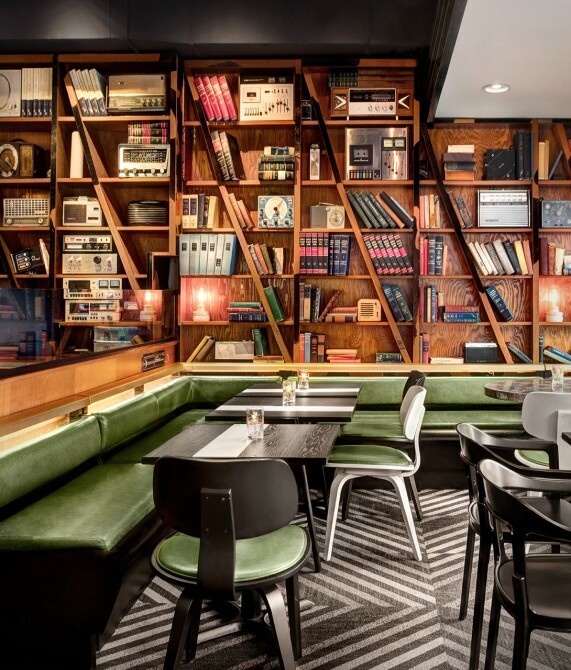 Some hotels talk big when it comes to being a part of their creative community. 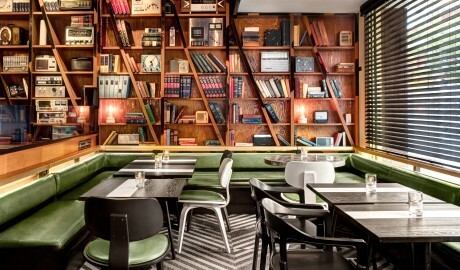 And some, like The Drake, are a driving local force, connecting guests and neighbors alike with the creative scene through an eclectic and constantly changing program of performance and visual art. 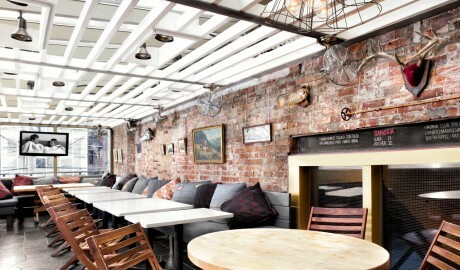 From the moment one enters this classic, late-19th-century building and takes in the lobby’s grand brass-lined staircase and its permanent and rotating art exhibits, one senses the buzz and energy of Toronto’s West Queen West community, which Vogue Magazine recently named as the second coolest neighborhood in the world. 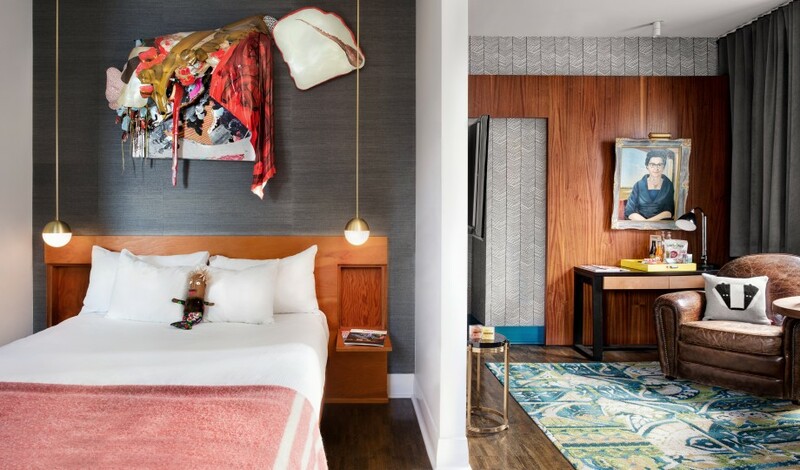 In this on-the-pulse 19-room, 1-suite hotel—defined by live music, wellness and creative workshops, jam sessions, artist talks, yoga, and more—one discovers stunning midcentury modern design augmented by brass, wood, leather, and bright pops of color. 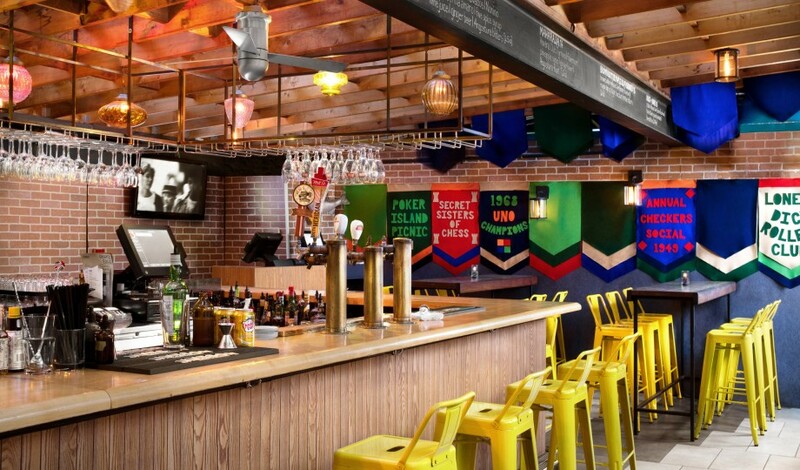 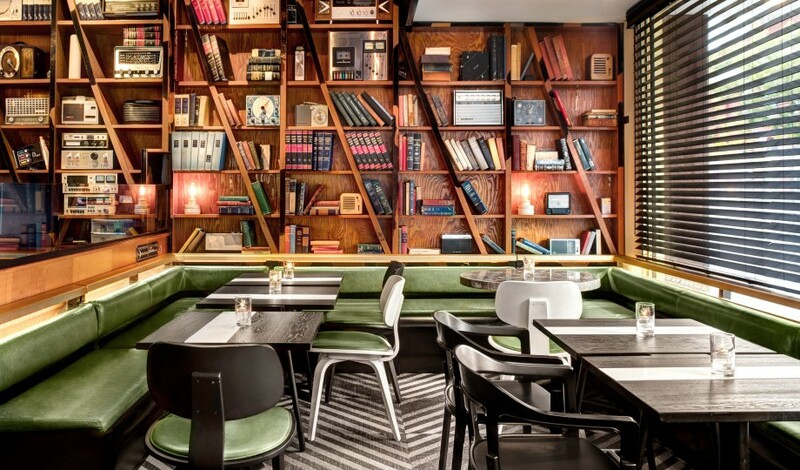 Complementing a café and a full-service restaurant that has become a hotspot for foodies, one also finds an underground music venue, as well as the much-loved Sky Yard rooftop patio—a Conde Nast Traveler “best bar” pick and a perfect spot to take in the Toronto skyline. The Drake offers a variety of room sizes and styles, from the 385-square-foot XL Suite to the 100-square foot XS Nook. 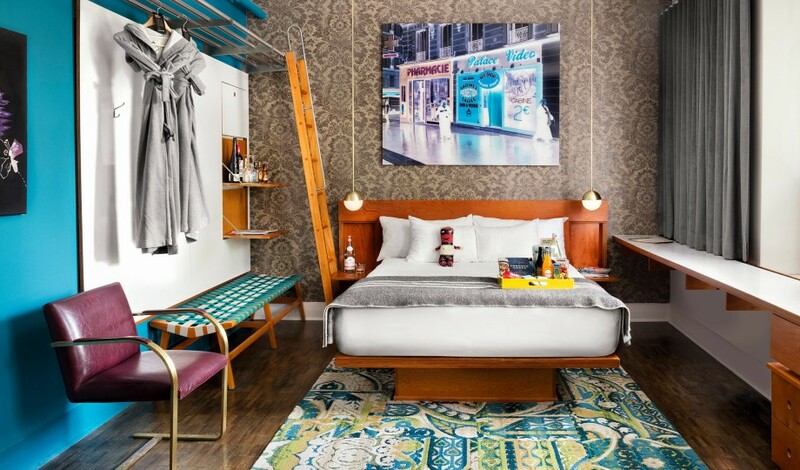 Those seeking something big but not a suite can choose the 200-square-foot Salon or the 215-square-foot Studio, while lovers of more cozier confines can enjoy either the 185-square-foot Den or the 150-square-foot Crash Pad. All rooms come with complimentary access to a yoga studio and cycling club, as well as a Bose docking station and flat-screen TV with premium cable. 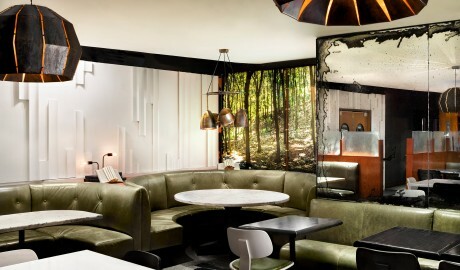 Within the hotel’s inspiring public gathering spaces and its private retreats, one finds both furious dashes of color and soothing blends of marble, wood, and glass. 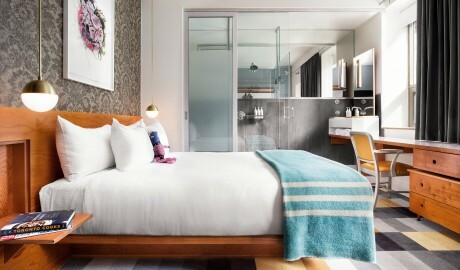 Here, retro furniture unique to each guestroom and throwback light fixtures augment simple wood shelving and a seemingly endless array of original art, which itself is underscored in each room by a custom designed wooden headboard. 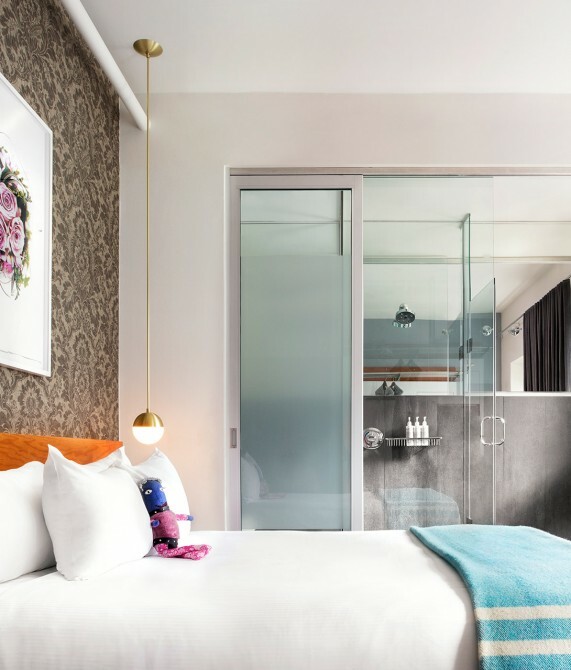 Following an extensive renovation, the three-story, turn-of-the-century building that houses the Drake Hotel has become an iconic figure in the thriving West Queen West community. A forerunner of the small boutique experience in Toronto, the hotel perfectly marries contemporary art with history through a high- and low-brow look and feel. 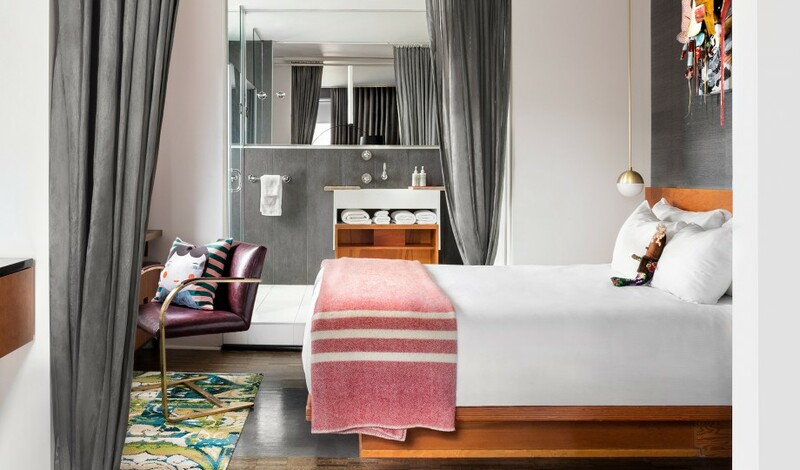 The building’s striking façade and its original granite floors reflect the hotel’s rich past. Named by Vogue Magazine as the second coolest neighborhood in the world, Toronto’s West Queen West neighborhood is a true culture hub, awash in galleries, restaurants, and diverse shopping opportunities.